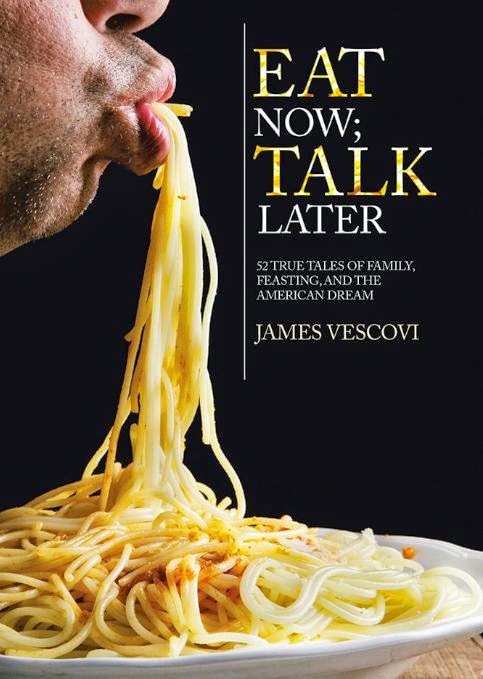 Eat Now; Talk Later is a collection of stories that make up a memoirs-biography about the author's grandparents, who emigrated to the United States from Italy in the 1920s. The subtitle of the book is 52 True Tales of Family, Feasting, and the American Dream. The fifty-two essays cover various moments in the lives of Antonio and Desolina Vescovi, and explore their relationship with their only child, Selvi, and their relationship with Selvi's children, especially with the author, who helped care for his grandparents in their old age. Antonio (Tony) and Desolina were born circa 1900 and passed away circa 2000. Their move to The States was for the proverbial "better life". The author writes that the essays have "a universal quality about them", and that they are "about what it is to be human". A poorly educated "peasant" man emigrates to earn better money. He sends money to his impoverished family back home, while trying to save up to return home with enough capital to live comfortably. The man, realizing that it will be difficult to earn enough to live comfortably back home, because "back home" is so economically depressed and socially unstable, decides to marry his childhood sweetheart and emigrate with her. In their new country, the couple live in a community of like immigrants, work for and with like immigrants, and start a family. They socialize with like immigrants, shop in stores for things they ate back home, and speak their language all day long. 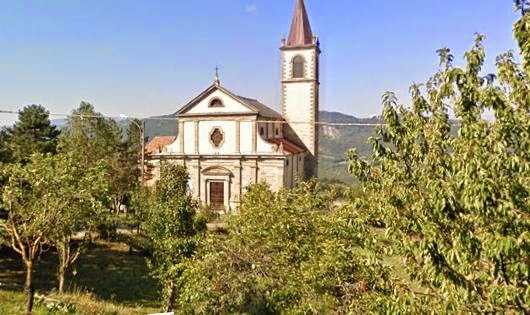 The village church of Casaselvatica, the grouping of a dozen or so stone houses south-west of Parma, from which Tony and Desolina emigrated. Today, the homes are restored and used mainly as vacation homes. Amazingly, you can view the most of the town using Google-Street-View! Oh, how times have changed since Tony and Desolina's day! The couple's children help their parents deal with the world around them, and to cross the language divide. The children get the education and healthy diet that the parents were denied, so the children grow up to be much smarter than their "peasant" parents. The couple's children strive to conform to the society's norms, while continuing to care for their parents. The children live with one foot in their home country and one foot in their parent's home country; two very different worlds. As their parents' life-line to the society around them, the children have duties that children of non-immigrants cannot even imagine. With their children grown, and the man retired, the couple consider moving back home. However, grandchildren, social stability, and force of habit keep them in their adopted country. Later, old age keeps them near their children for comfort and care. The couple's grandchildren seek to reconnect with the family's heritage. Modern travel and economic growth and stability "back home" let the grandchildren explore the place from which their grandparents escaped. This immigrant cycle is continually replayed around the world, and it is often criticized by people ignorant of the realities of immigration. These essays help explain why that first generation to emigrate has such difficulty with integrating into their new society, and why their children suffer greater stresses than the children of non-immigrants. I noticed some reviewers of Eat Now; Talk Later, which I received as a review-copy, mentioned how "funny" they found the stories in the book. I did not find the essays funny, but I suspect that is because I felt an extra sympathy with Selvi, the couple's only-child. 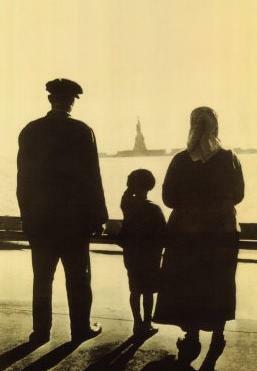 I had a close friend who was the child of an immigrant, from Italy. I witnessed my friend's long-term suffering from the emotional blackmail that her elderly mother exerted over her. Behind all the stories about Tony and Desolina, I had Selvi and my friend in mind, so the stories took on more of a bitter-sweet quality for me. 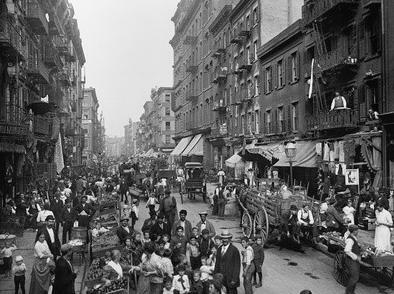 Mulberry Street, center of the Italian district in New York City, circa 1900, twenty or so years before Tony and Desolina emigrated to America. Because Tony and Desolina had emigrated out of poverty, they were especially grateful for America's abundance of food. All their long lives they put food first, above all other needs. The book's title is emblematic of this priority, Desolina's command at the dining table: "Eat now; talk later". When asked by the author what they liked best about America, the elderly couple answered that they could eat in America "every day like it's the Sagra". The Sagra was the hog-killing festival in their village, which still takes place in some southern Italian villages, that was accompanied by one evening of eating like the padrone. American, to Tony and Desolina, was the place they could have a full stomach every day of the year. 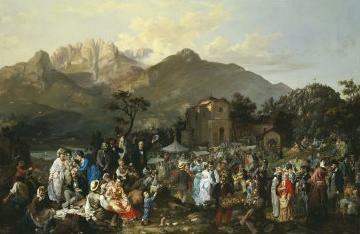 This is a print of a painting from 1878 of La Sagra Del Paese, depicting the carnival-like atmosphere of a small, Italian town's Sagra. If you click through to Allposters, you can view a larger image and see the incredible details the Italian artist included in his painting. None of my friends had grandparents like these. ... Tony and Desolina were exotic. ...no matter how frequently we came, when we arrived, they acted as if we had been away one hundred years. Desolina and Tony had attended one-room schoolhouses until the third grade. ... According to Tony, there were hardly enough pencils and sober teachers to go around. The evocatively-named neighborhood in New York City is where Tony and Desolina lived for the first phase of their lives in America. 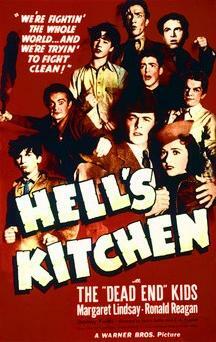 The Irish/Italian district was depicted in film as a tough, working-man's neighborhood. Eat Now; Talk Later is well-written and well-edited. The author's voice is engaging, as is his sympathy for his father, Selvi. While he loved his grandparents, he saw clearly how their old-world demands on their new-world son took a toll on the man. The photographs included with the text are lovely additions to the book. As always, I would like more photographs, but maybe that's just me. And it may be just me on this one, too, but I don't like the book's cover; I think it is rather gross. But, to each his own! 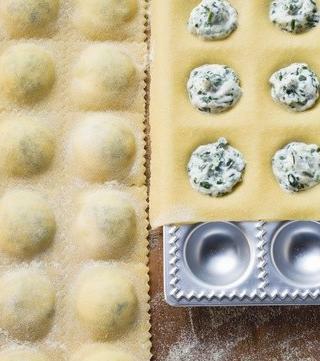 Handle the dough lightly, with humor, sing to it, but not too much. Ever wonder what it would be like to have parents or grandparents from another country? Eat Now; Talk Later will give you an idea. Did you have parents or grandparents from another country? Then you will identify with these stories, and recognize the commonality of all immigrants and children of immigrants and grandchildren of immigrants, for it is a universal story. Are you quick to criticize immigrants for sticking to their home-country ways? This book can offer you a glimpse into the reasons why that is the case, hopefully creating in you greater compassion for people who have given up so much in the hope of gaining just a little bit more to eat, and more security for themselves and for their children. 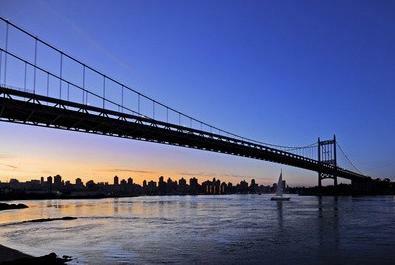 The Robert F. Kennedy Bridge Is Seen at Sunset from Astoria Queens in New York USA. 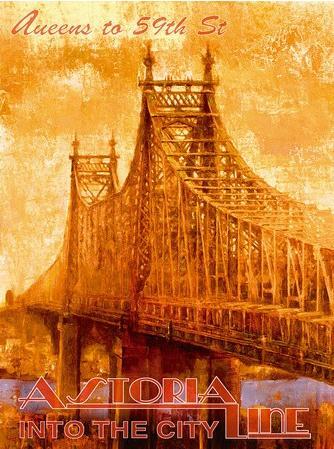 Astoria-Queens, across the East River from Manhattan, was home to Tony and Desolina in the second phase of their life in America. Eat Now; Talk Later is published via AuthorHouse at Authorhouse.com. AuthorHouse is the leading provider of supported self-publishing services for authors around the globe, with over 60,000 titles released. Visit the author's website for book extras. And you can enjoy a multi-part presentation by the author at YouTube, from a Festival at which he recounts some of the stories from the book from both his perspective and his father's perspective.